Bad hair don’t care. This is so relatable especially during the days that you just don’t feel like doing anything at all. However, even in those days you still need to look good regardless. Lazy days call for lazy hairstyles and some hair products to work the magic. From messy bun, wearing a hair cap or letting your hair to flow freely, we walk you through ideas that you can try during your ‘i-don’t-feel-like-doing-anything’ days. Messy bun is the top pick hairstyle to pull on lazy days. Although the messy bun look can be pulled off every single day, the trick is to create different styles with it. If you have long hair but only have a few minutes to spare, messy bun look is easy to do and also convenient for lazy days. 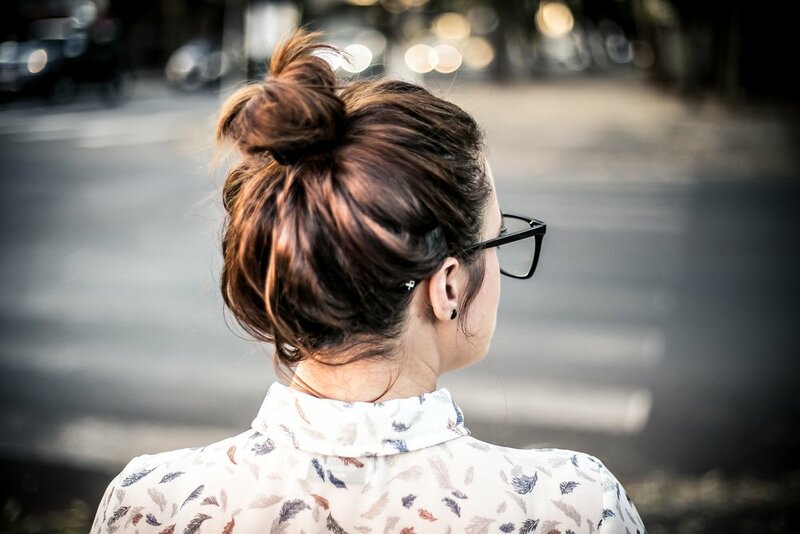 Worry not about those loose hair peaking out from your bun. The messier the better. When in doubt, just grab a cap or a beanie to wear. Nobody will be able to tell whether you are having one of your lazy days as the beanie or hat you have on your head gives that effortlessly stylish appearance. You can also spray some hair products beforehand, especially dry shampoo. This will make your hair easier to style and manageable. Who doesn’t look cute in a ponytail? To level up your hairstyle game, get a cute scrunchie and tie your hair in a high ponytail. This style is suitable to pull of whether you have curly or straight hair. Channel your inner Ariana Grande with that high super sleek and stylish ponytail look. You can also look like her with minimal effort by applying some oil onto your hair to make it shine throughout the day. Staying true to the concept of lazy days for your hair, letting it free is the best option you can do. How to pull off a healthy looking hair? Shiny without looking greasy, flowy without being all over the place, and even looking voluminous instead of having a flat hair. These are what healthy hair should appear like. Tips for a quick hairstyle that doesn’t require hours at the salon is simply to use good hair products. It’s a staple when it comes to achieving a healthy and easy to manage hair. Lazy days call for being comfortable in your element and still rock your hairstyle with confidence. Hope by now you have an idea on hairstyles to try during your lazy days. So what type pf lazy day hairstyles do you often pull off? Let us know in the comment section below on your preference.